NewsPlusNotes: Chance Rides Brings New Line of Wheels to the U.S. 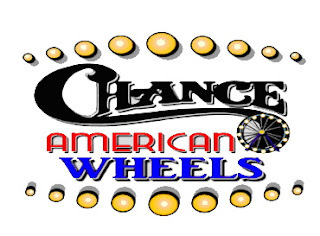 Chance Rides Brings New Line of Wheels to the U.S.
Good news for all your Ferris wheel fans out there, Chance Rides has signed a long term license agreement with Bussink Design GmbH for the exclusive rights to manufacture and sell the R80XL Giant Observation Wheel in North America. Chance Rides will market the attraction under an affiliate company, named Chance American Wheels. 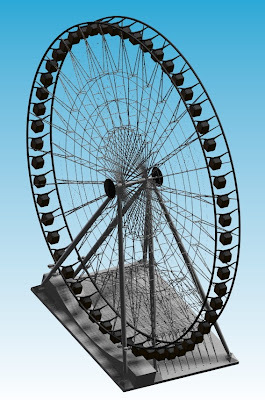 According to the company, the "R80XL Giant Observation Wheel is a non-stop revolving wheel that stands over 250 ft (78m) tall and is the highest wheel built to date in North America since the original Ferris Wheel built in 1893 for the Chicago Worlds Fair." The attraction utilizes 54 eight passenger, or 27 sixteen passenger, climate controlled cabins. The cabins are customizable, allowing configurations including standing, seated back to back or facing, and for an added bonus luxurious VIP cabins can be made. Chance American Wheels reports that the first R80XL wheel is under final assembly in Munich, Germany at present time and will be delivered at the start of 2013. 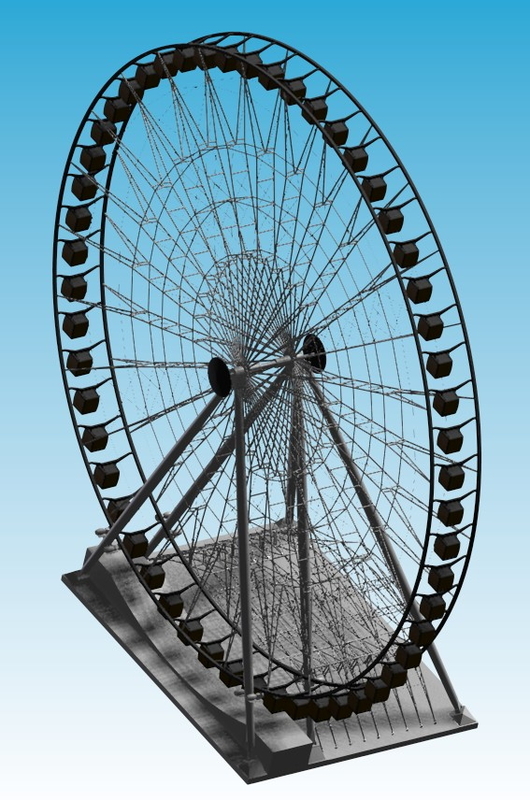 Chance Rides will feature a cabin from one of the wheels at the upcoming IAAPA trade show.